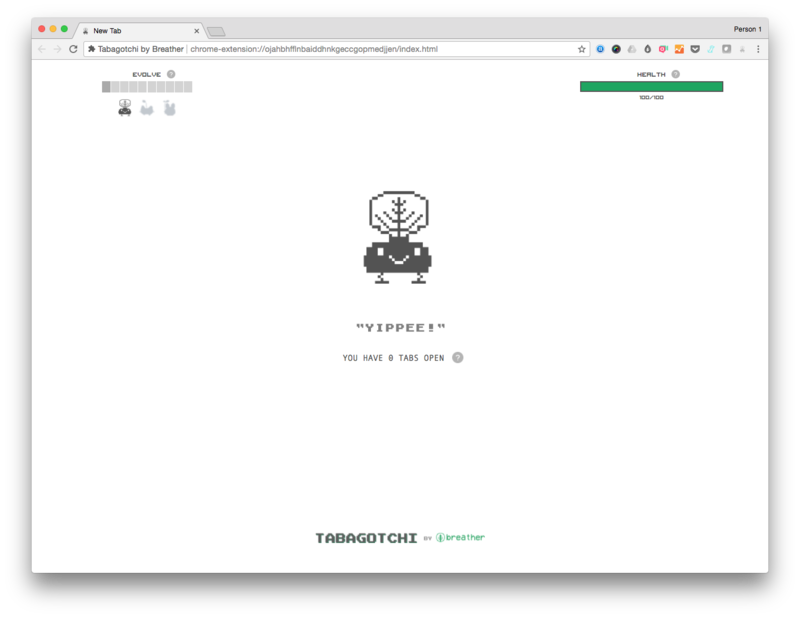 Tabagotchi is a Tamagotchi-inspired chrome extension designed to help you declutter your browser and eliminate tab anxiety. The fewer tabs you have open, the happier and healthier your “Tabagotchi” will be! For every tab you have open, your Tabagotchi loses 4 HP, making it angrier and sicker.